Through the Alliance, provider-sponsored health plans, along with their health system and provider leaders, can collaborate as one united entity, sharing the strategic expertise, operational efficiencies and innovation of each organization with one another. Together we are driving performance improvement, delivering exceptional service, transforming care, and championing health and wellbeing in our local markets with the power of a nationwide company. We can't do it alone and are always looking for strategic partners who are interested in supporting our mission and vision. 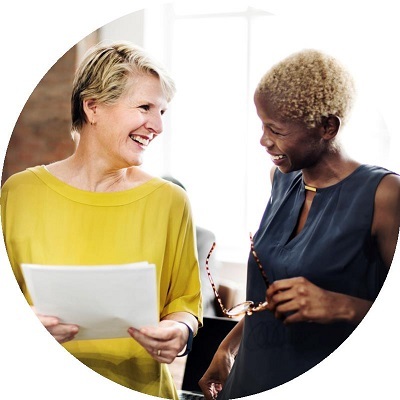 Get connected today with our network of 3,000+ individuals at health plans, health systems and provider groups across the country. Take advantage of your complimentary listing. When members are in need of a particular service they start with the Alliance vendor directory. It’s also one of the places the Alliance team goes when searching for subject matter experts to support our educational programs. Our members hold our sponsors in high esteem. That’s because Alliance sponsors are thought leaders who are invested in helping our members achieve their business objectives. Sponsors who invest in the Alliance do so to get something more valuable than leads—the opportunity to hear and learn from our members through open, candid discussions about their business challenges and possibilities. Our approach allows you to be part of the dialog and support our members in achieving success. The Alliance GPO provides companies of all sizes unparalleled support for growing their business in one of the fastest growing segments of the managed care market: provider-sponsored and independent health plans. By joining the GPO, your organization will receive increased exposure to individuals from all areas of health plan operations and year-round marketing support to make sure your company stays top of mind.